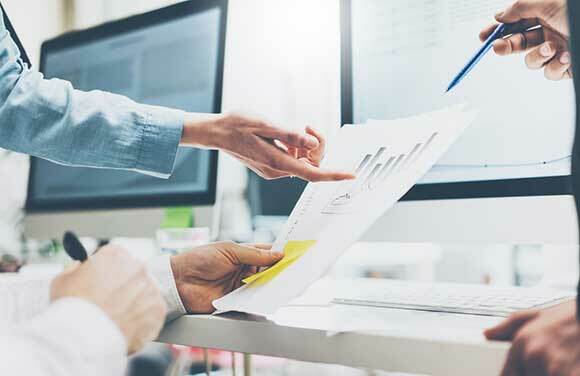 Many Not for Profits face obstacles to being accountable even with the best of intentions but the primary issue is not how to enforce accountability but how to overcome practical barriers, writes Dr Dale Tweedie from Macquarie University’s Governance and Performance Research Centre. Analysis: Many Not for Profits face obstacles to being accountable even with the best of intentions but the primary issue is not how to enforce accountability but how to overcome practical barriers, writes Dr Dale Tweedie from Macquarie University’s Governance and Performance Research Centre. Public discussions about Not for Profit accountability often focus on cases, like fraud, of deliberate deception or malpractice. However, as accountability becomes more complex, many NFP boards and staff face obstacles to being accountable even with the best intent. In these cases, the primary issue is not how to enforce accountability, but how to overcome practical barriers. In new research published in the Three Sector Solution, we identified such barriers in NFP reporting, governance and regulation. The research emphasises the value of including NFP directors and staff as part of accountability processes, rather than only as its subjects. NFPs do need to report against external standards. However, external stakeholders (eg funders, donors and clients) and NFPs often share an interest in delivering high-quality services and outcomes. In this study, NFP accountability systems worked best when they incorporated these shared interests, alongside appropriate checks and balances. The research focused on three main areas. “Having a one-off consultation meeting isn’t enough. That’s not open communication, that’s a consultation” – NFP manager. Unsurprisingly, funders significantly influenced what NFPs reported. Where both funders and NFPs desire quality service outcomes, one challenge for funders was to establish reporting practices that actually support quality services. Consistent with prior research, reporting became disconnected from service quality in several ways. reporting without providing useful feedback. The research found that one way to connect reporting to service quality is to improve the funder-NFP relationship. Reporting worked well when there was open and frequent communication between NFP and funder over the contract life. For instance, one NFP had quarterly meetings with the funder, NFP and major stakeholders which discussed both the project’s progress to date and how performance should best be measured. These meetings worked partly because the funder and NFP had built the mutual trust that open communication requires. One of the ACNC’s five minimum governance standards is that NFP boards should be accountable to their members. In practice though, many member-based NFPs had no members to whom their boards were genuinely answerable. The issue here is not simply one of oversight, but also concerns enabling shared interests in accountability. The directors in this study were all volunteers who were strongly committed to discharging their responsibilities. As well as being good organisational practice, having members ask directors the tough questions about their NFPs’ objectives, strategy or performance was a way for these directors to be confident about their own contribution and oversight. In the absence of an active and informed membership, one challenge boards faced is cultivating relationships that serve a comparable function. Some boards engaged external consultants, although this can be an expensive solution. Other boards voluntarily adopted external (eg ASIC) governance principles. Alternative possibilities include creating reference groups, facilitators or mentors with whom the board can periodically review their own performance. One surprising finding was several participants’ concern that red-tape-reduction agendas might undermine shared service standards, potentially putting vulnerable clients at risk. The crux of this concern was the blurred line between unnecessary regulatory intervention (ie red tape) and regulation that enforces minimum service quality. Ernst and Young define red tape as “Regulatory and reporting obligations that are excessive, unnecessary or confusing.” However, while excessive regulation is often obvious (eg multiple accreditations for one service), “unnecessary” regulation is more ambiguous. One example a participant raised was a requirement for childhood education providers to document children’s learning. Is this necessary or unnecessary? We argue that policy experts cannot decide this question alone. Rather, an answer must include professionals from the childhood education sector who can draw on evidence of how documenting learning affects children’s education. This example reinforces the value of incorporating NFP staff into accountability systems. While red-tape reduction is widely supported, any agenda that reviews regulated service standards requires close and genuine consultation with stakeholders who have extensive expertise in the relevant service area. The broader context of this issue is the move towards delivering services through market-based-funding models like the NDIS. While these models offer to expand client choice, they also risk placing new cost-driven pressures on organisations whose services meet critical human needs. These risks make it more rather than less important to retain the expertise the NFP sector offers not only in delivering services, but also in developing the systems by which the quality of service delivery is judged. 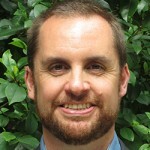 About the author: Dr Dale Tweedie is a senior research fellow for Macquarie University’s Governance and Performance Research Centre.